Who said rainy afternoons were for sitting inside? With this three-in-one raincoat, every single day of the year is an opportunity for exploration. 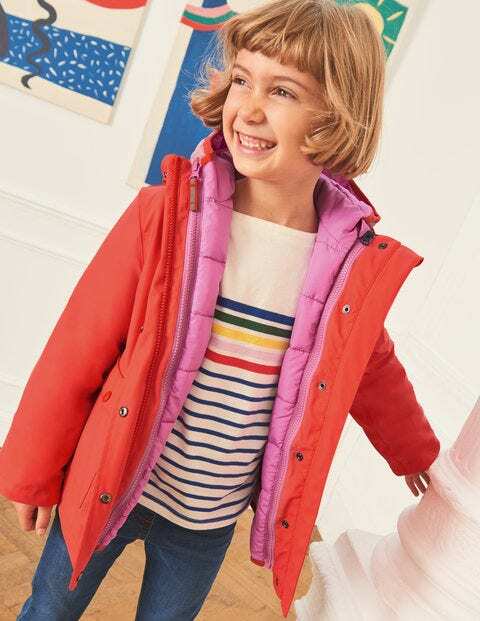 It has a quilted jacket that zips in and out of a waterproof outer – which can be worn at the same time or separately. Storm cuffs and a jersey lining keep the cosy in, while patch pockets store all those essentials (snacks, tissues, pet snails...).